​The Cimex Carpet Machine sets the industry standard for low moisture carpet encapsulation cleaning. This method of shampooing uses a polymer solution that encases or “encapsulates” the dirt particles. In addition to the proven benefits of encapsulation cleaning, the Cimex Carpet Machine is a superior example of modern engineering. It uses a simple, but effective counter planetary motion to lift the dirt from soiled carpeting. The large main head spins in one direction while the three smaller brush heads spin in the opposite. This results in a deep, aggressive cleaning. Combine this with the science of encapsulation and the result is the best possible solution for commercial carpet cleaning. Lastly, the Cimex Carpet Machine is easy and fun to use! The counter rotating heads keep it stable and in one spot, unlike single head machines that pull in one direction or another. It only takes a few moments to teach a staff member how to operate the best commercial carpet machine on the market today. We offer a standard 1 year warranty and our expert support staff is ready to assist you. 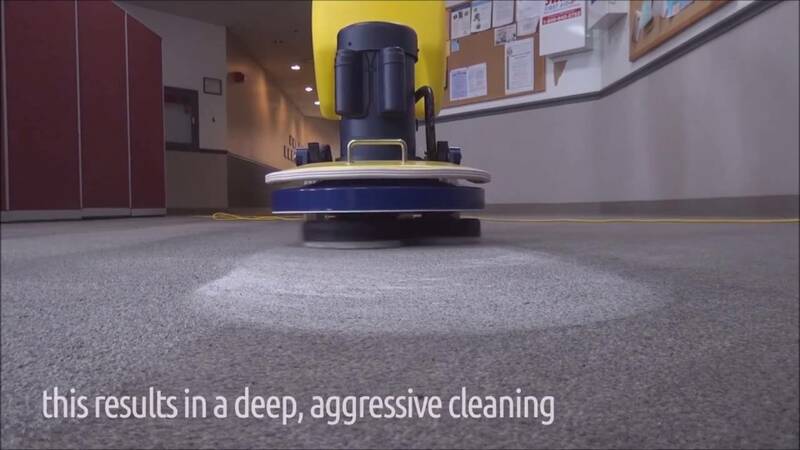 Click here to see the Cimex Carpet Machine in Action!